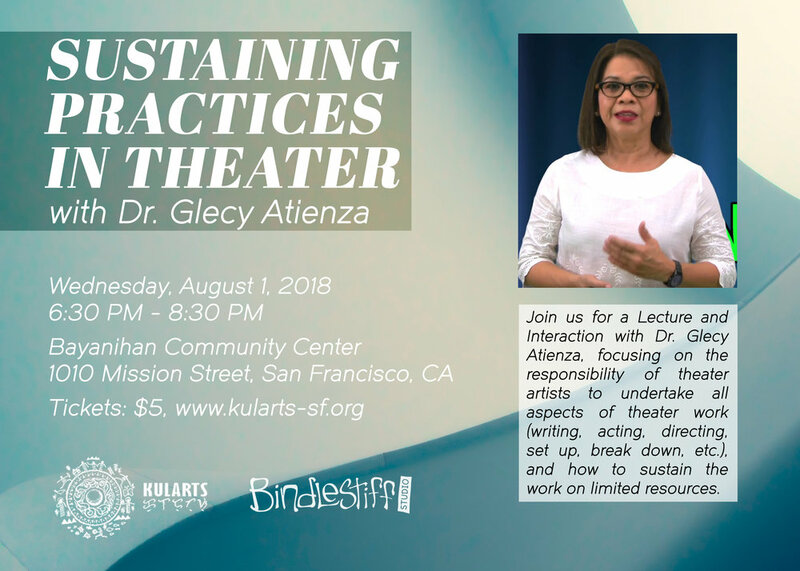 Join us for a Lecture and Interaction with Dr. Glecy Atienza, focusing on the responsibility of community theater artists to undertake all aspects of theater work (writing, acting, directing, set up, break down, etc. ), and how to sustain the work on limited resources. Dr. Glecy Atienza is a Professor at the Department of Filipino and Philippine Literature, UP Diliman. She is also a performing artist-director-playwright-essayist and theater scholar. Dr. Atienza has received numerous awards for her plays, creative non-fiction, and scholarly researches, including the Don Carlos Palanca Memorial Awards for Literature, the CCP Writing Grant for Literature, Gloria Villaraza Guzman Creative Writing Grant, and the UP Creative Writing Center Local Fellow for the Essay. Atienza has a featured TED Talk with TEDxDiliman.